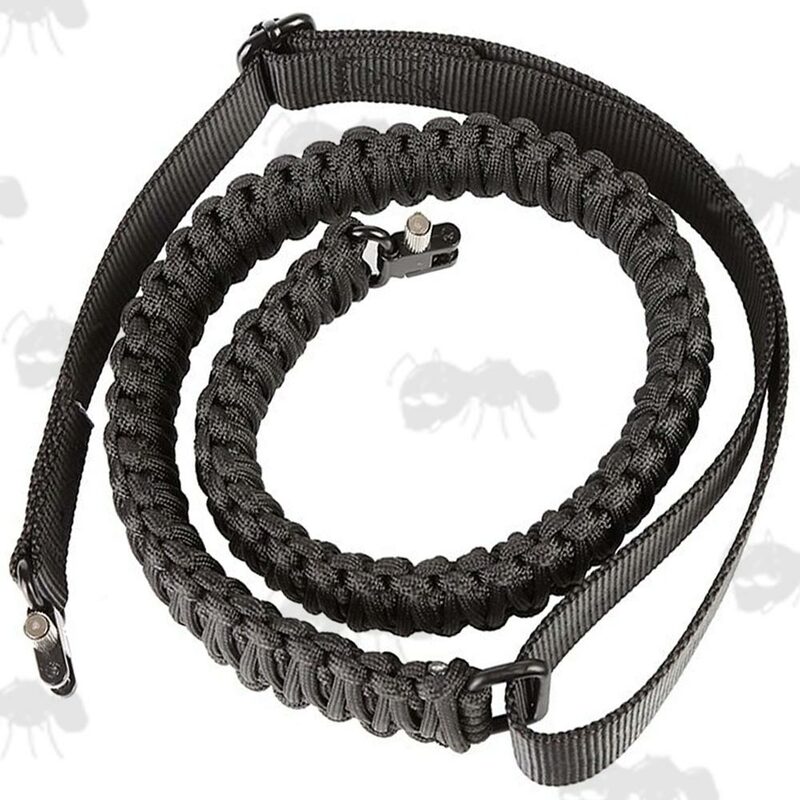 Link to Our ~ Paracord guide page. The length adjusts from between 25 to 34 inches (64cm to 86cm). The length adjusts from between ** to ** inches (***cm to ***cm). Made from paracord in a King Cobra weave pattern. 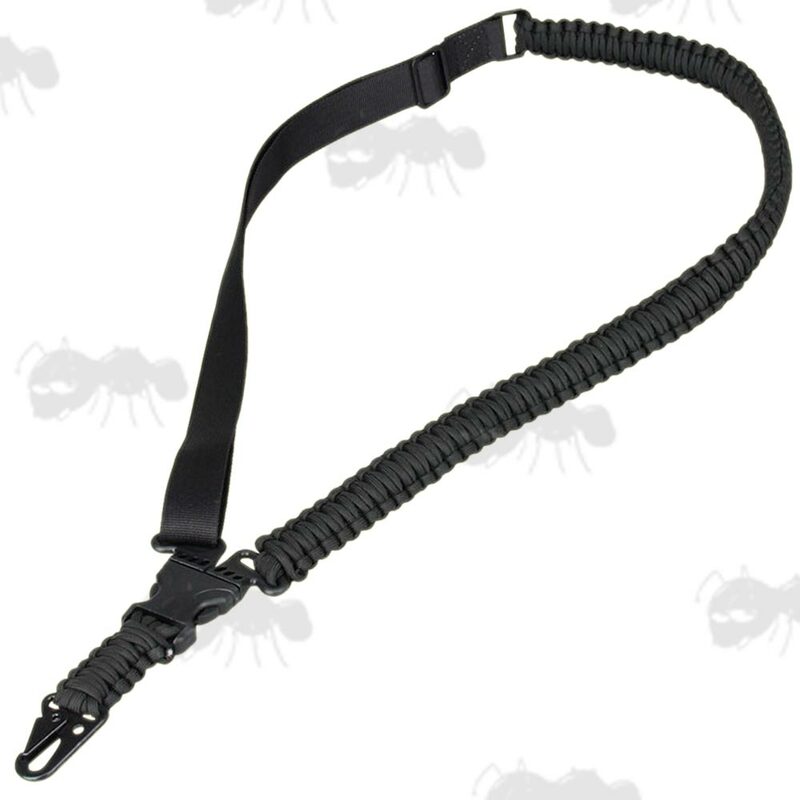 The paracord section is approx 23" / 59cm long. Fitted with one steel D-ring with black finish. 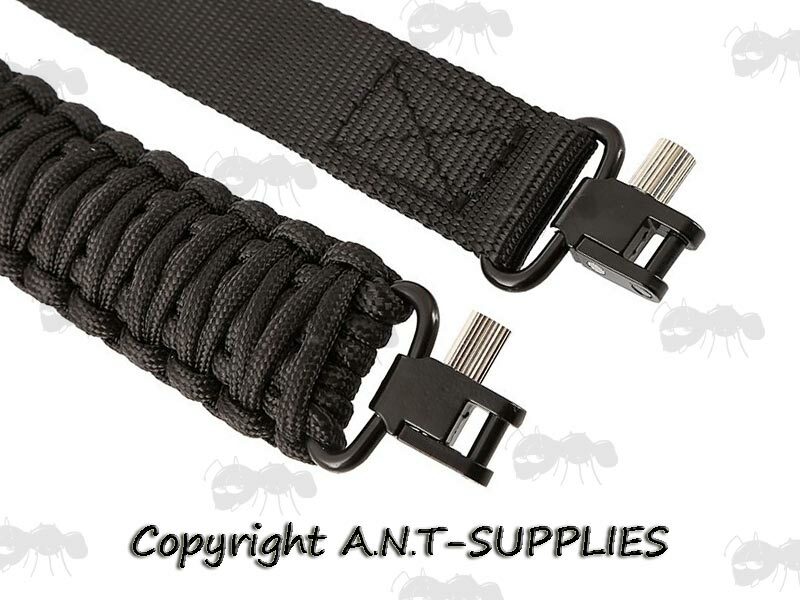 One end fitted with a 1 inch /25mm wide canvas strap. 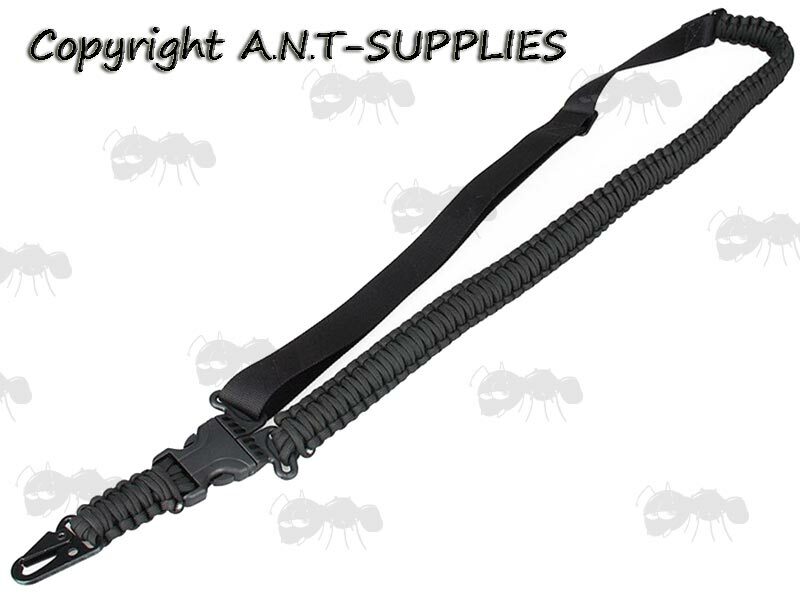 The strap has one tri-glide slider, to allow the overall sling length to be adjusted. 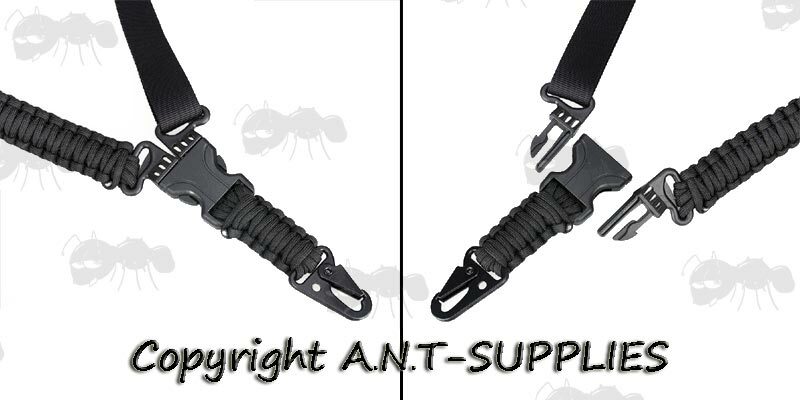 The strap and swivels / clips are sewn in, so can not be removed.